The RS:Convertible joins NeilPryde’s windsurfing portfolio as THE lightweight, effortless foil and slalom sail. Both sails were developed in conjunction and as a result, both rigs offer extreme direct power in an industry leading light weight design. The sails feel as light as a no-cam sail, making them ideal for accommodating the more upright posture of foil sailing. When used with reduced outhaul tension, the sails generate a considerable amount of power, ideal for early foil take off. In overpowered conditions, the sails may be flatted and the draft pulled forward to maintain complete, stable control whether foiling or slalom sailing. Used for freeride or racing, the RS:Convertible rigs offer complete, user-friendly performance whatever the objective – free-ride bliss or pure blazing speed. Sail (Available in 7.0 and 7.8): The RS:One Convertible sail is a two-cam sail purpose built as a user friendly performance foil and slalom sail. Its lightweight design makes it ideal for a more vertical foiling stance, while the foot is cut high enough to still accommodate the raked back position of slalom sailing. These concepts, together with light backhand pressure allow the RS:One Convertible sail to perform exceptionally well for both foiling and slalom sailing. Mast: The RS:One Convertible mast is composed of 65% carbon fiber with added prepreg fiberglass layers used in the lamination process, providing for a virtually indestructible rig. The mast measures 460cm for both 7.0 and 7.8 sail sizes, and lands at a total weight of just 4.8 pounds. Boom: The RS:One Convertible boom, made from alloy and measuring 175 – 225cm, displays the identical geometry as used on NeilPryde's carbon wave booms. Perfectly symmetrical, low friction, and no crossing lines allows the clew to be trimmed 100% to the back of the boom. Extension (34MXT, same used for both RS:X and RS:One Convertible): The RS:Convertible extension features a stainless bottom piece combined with perfectly aligned, angled pulleys and the exclusive MXT mono-button system. 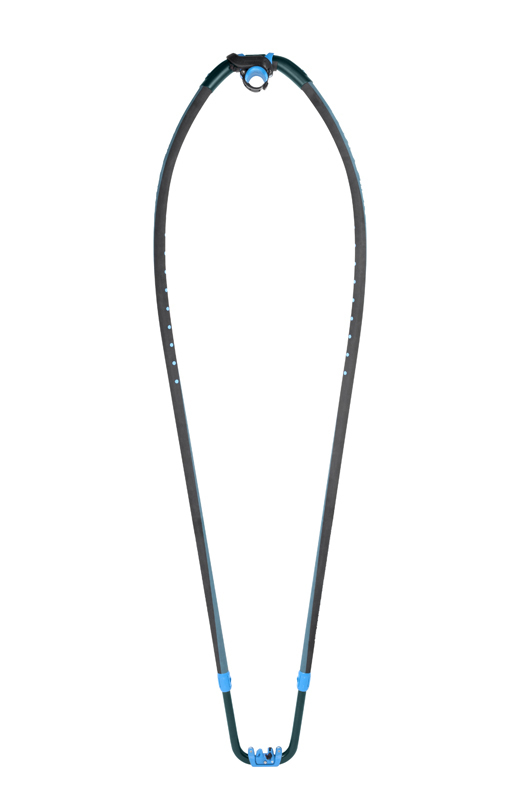 The alloy extension offers the ultimate range of trimming options. In addition to the rig packs, we’d like to pair up a corresponding inventory of foils while our supplies last. Any purchase of a RS:One Convertible rig pack will be accompanied by a $100 discount on either a RS:One Convertible foil OR a RS:Flight Aluminum foil. Call our shop with your purchase reference number to proceed with this personalized offer - (305) 591-0599. One board, one foil, one fin, one rig. 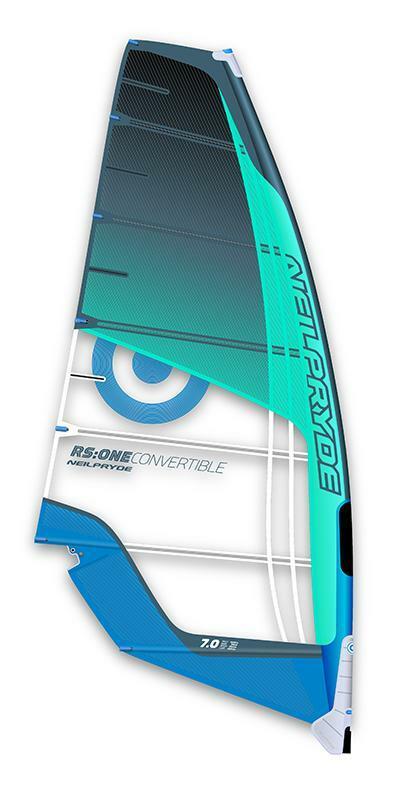 2 in 1, with the RS:One Convertible windsurfers can now foil in light breezes and switch to a fin mode in stronger conditions. Video: FYM-productions. Click the button below to add the RS:One Convertible Complete Rig Pack to your wish list.